This wonderful condo offers a beautiful, peaceful, wooded setting very close to East Bay, Mt Holiday ski hill right down the street, TART Trail, shopping, dining and entertainment very close as well. This would make a fantastic, affordable weekend or full time Pure Michigan getaway. 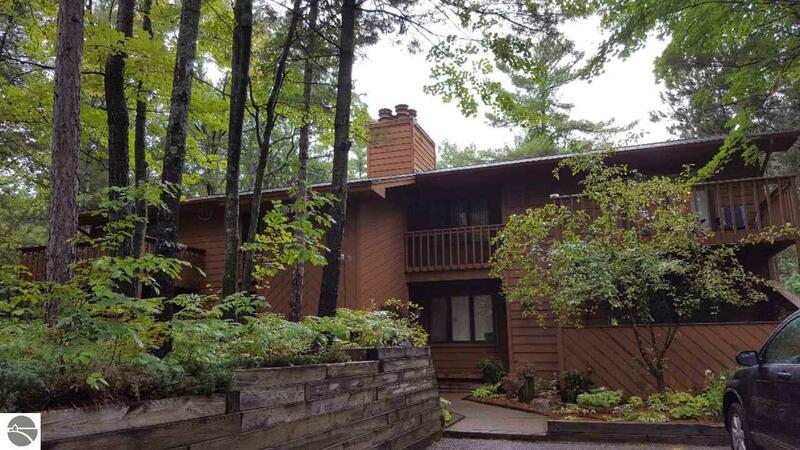 Enjoy evening fires by the natural wood burning fireplace from this 2 BR, 1.5 BA, condo, your own washer and dryer and an over-sized one car drive under private garage with storage. A Great place to live or weekend! Bedroom 1 Size: 14'3" x 13'9"
Br2 Size: 13'11 x 10'1"
Din Rm Size: 11'4" x 9'6"
Kit Size: 8'11" x 8'8"
Liv Rm Size: 13'6" x 23'3"